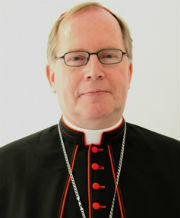 On Sunday, Bishop Georg Bätzing was ordained and installed as the 13th bishop of Limburg. Cardinal Rainer Maria Woelki, the archbishop of Cologne, gave the homily, which I share in my English translation below. The cardinal also served as consecrator of the new bishop, together with Bishop Manfred Grothe, who lead the diocese as Apostolic Administrator during the two and a half years between bishops, and Bishop Stephan Ackermann of the new bishop’s native Diocese of Trier. An ordination – be it to deacon, to priest or, as today, to bishop – is always a public act; an effective action which changes both the person being ordained – although he is an remains the same person – and his environment. This is true even when an ordination must be performed in secret for political reasons. And so public interest, especially at an episcopal ordination, is a most natural thing. Today too, many eyes are focussed on Limburg; perhaps even more eyes than usual at an episcopal ordination. In recent years, the focus of the media on Limburg and its bishop has been too strong, if the question of how things would proceed now was not one well beyond the Catholic press. The man who will be ordained as the thirteenth Bishop of Limburg today, is being sent to “bring good news to the afflicted, to bind up the brokenhearted” (cf. Is. 61:1). 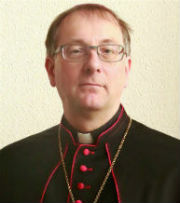 He knows the wounds that need healing; he knows that the faithful in this diocese must be brought together and united again, and he knows the challenges which face not just the Church in Limburg, but everywhere, when she wants to proclaim, credibly, Christ as the salvation of all people, also in the future. His motto, then, advances what has already been important to him in his various pastoral duties in Trier: he was and is concerned with unity in diversity – Congrega in unum. It is no coincidence that today’s ordination concludes the traditional week dedicated to the Holy Cross in the Diocese of Limburg. The feast of the Cross and the Week of the Cross have a long tradition here, which is applicable in this situation. At the introduction of the feast in 1959 by Bishop Wilhelm Kempf its goal was to establish an identity in a young diocese. He chose the Feast of the Exaltation of the Holy Cross as diocesan feast, with an eye on the relic of the Holy Cross kept in the reliquary of the cathedral treasury of Limburg. But not from this artistic and outstanding treasure of Byzantine art, before which one can linger in amazement and admiration like before an exhibit in a museum, does the Church in Limburg derive her identity. No, it is from that which is hidden within: the precious Cross of the Lord, by which we are saved. Only that grants the Church of Limburg, yes, the entire Church, her identity. The Apostle Paul knew this, and following him, everyone who is appointed to the episcopal ministry therefore knows this. Our new bishop also knows. Because this is the heart of his calling and mission as bishop: to proclaim Christ, as the Crucified One in fact. 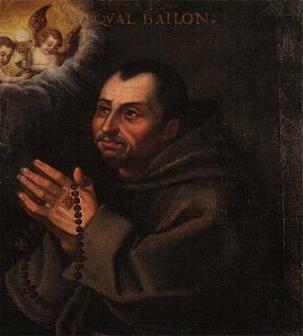 He is not to proclaim Him with clever and eloquent words, so that the Cross “might not be emptied of his meaning” (cf. 1 Cor. 1:17). On the Cross hangs the unity of the Church, because from the crucified Body of Jesus the Church emerged. In her all the baptised are woven together. All the diversity of the Spirit, which animates and moves the Church, has its origin there. Understanding the mystery of Christ depends on the Cross. No salvation without the Cross! Without the Cross no Gospel, no Christianity! Only in the Cross do we recognise who God and who man is, what God and what man is capable of. We say that God is love. These horribly absurd, often abused and yet so eagerly awaited words gain their sober and exhilerating depth and truth against all kitsch and all shallow romanticism only in the light of the Crucified One. Saint John the Evangelist reminds us that God so loved the world, that He gave His only son (cf. John 3:16). This was not an “either-or” devotion. It was not a game of God with Himself without us humans, no large-scale deception, no comedy. Christ died and so He become equal to us all, we who received everything that we have from God and who always violently want to “be like God”, on our own strength, as we can read in the first pages of the Bible, in the history of the fall. And then he, the Son of God, did not want to cling to His divinity with violence, like a robber, but He emptied Himself, became man, creature, became the second Adam, who did not want to be like God on his own strength, but wanted to be obedient until the death on the Cross. Only in this humiliation, in this selfless devotion to God’s love for us, He is raised: the Crucified One lives! The humiliated one reigns! This is then the case: The God who we imagined as unapproachable, as fearsome, is dead, definitively dead! It was not us who killed him, as Nietzsche claimed, but this Jesus of Nazareth, He has killed him. But the true God lives, the God who came down to us, unimaginably close in Jesus Christ. This God lives, who we recognised on the cross as God-with-us, and whom we continue to recognise only through the cross of Christ, recognise in that complete sense in which recognition means acknowledging, loving, being there for others. And so, after all, understanding this world and our lives also depends on the cross. Its image assures us that we are ultimately embraced by the mercy of God. That, dear sisters and brothers, is our identity as Christians and therefore also our identity as Church. That is what a bishop is to proclaim, even more, to live. Before everything, he is to be a witness of the death and resurrection of Jesus Christ as the decivise salvific act of God. From this everything else flows: our commitment to and engagement with Church and society, our commitment to peace and social justice, to human dignity and rights, to the poor and homeless, to the suffering, the sick, the dying, to life, also of the unborn. Everything flows from the mystery of the cross, and so the bishop promises just before his ordination to care for all, to be responsible and seek out the lost to the very end. “Tend to my sheep,” (John 21:16) does not mean, “Tend to my sheep where it is easy, where no dangers lurk.” It means to protect every human being as God Himself does – also there where it becomes abysmal and dark; where people lose themselves, where they put trust in false truths or confuse having with being. God knows how vulnerable we people are, and how much care and mercy each of us needs to live in such a way that it pleases God: not loving ourselves, but God and our neighbour. The cross is the reality of this love which desires to exclude no one, but which also recognises the “no” of those which it addresses. The openness of the most recent Council to a universal understanding of divine salvation allows us to see those who believe differently, only half or not at all as potential sisters and brothers. Such an understanding of and relationship with all people also permeates our Holy Father, when he wants to cure the sickness in ecclesial and social coexistence with the medicine of mercy (cf. 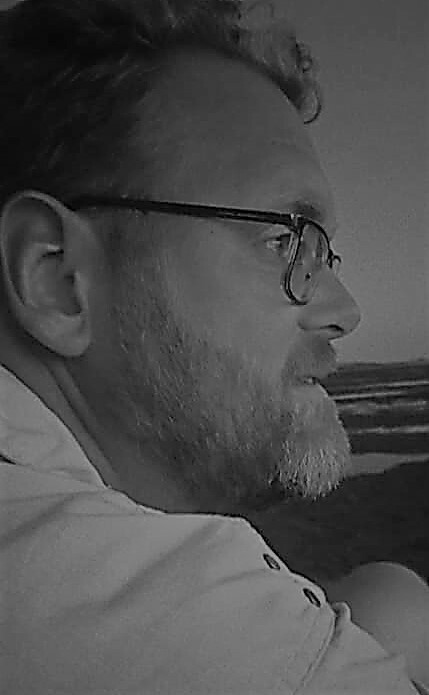 Jan Heiner Tück). As universal sacrament of salvation the Church only has one single Lord: Jesus Christ. God Himself anointed Him (Is. 61:1). That is why we always must ask ourselves what He wants from us and where He wants to lead His Church. The future of the Church is critically dependant on how the different charisms that God has given us can be developed. At the time that Bishop Kempf established the feast of the Cross it was, in addition to establishing an identity, about bringing together unity and diversity, centre and periphery in the young diocese. This program can not be better summarised than in the new bishop’s motto: “Congrega in unum“. Also today, it is the mission of a bishop to discover charisms, recognise talents, guide developments, allow unity in diversity: “For as in one body we have many parts, and all the parts do not have the same function, so we, though many, are one body in Christ and individually parts of one another” (Rom. 12:4-5). Where he succeeds in this service, oaks of justice can grow (Is. 61:3) and plantings can develop through which the Lord can show His justice (61:3) – in the heart of history, in the here and now, in the heart of this diocese. Where this service is successful people are encouraged and empowered to imitate and let God guide their lives – also when He may lead them, for a short while, “where they do not want to go” (John 21:18). We humans may be sure – in all hazards to which we are exposed or expose in faith – that we are protected by God; He has entrusted the bishop with the most valuable task that He has to give: “Feed my sheep!” (John 21:17). Nothing more – but that absolutely.